The author of Hebrews calls God 'Father' only twice in his sermon. This fact could account for scholarship's lack of attention to the familial dynamics that run throughout the letter. 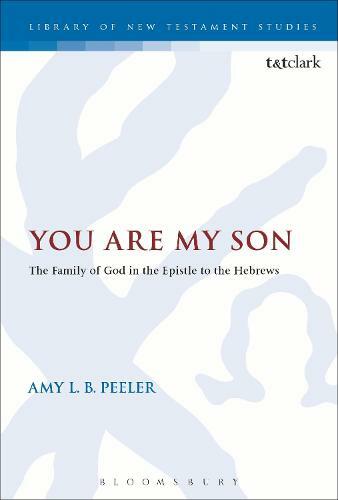 Peeler argues, however, that by having God articulate his identity as Father through speaking Israel's Scriptures at the very beginning and near the end of his sermon, the author sets a familial framework around his entire exhortation. The author enriches the picture of God's family by continually portraying Jesus as God's Son, the audience as God's many sons, the blessings God bestows as inheritance, and the trials God allows as pedagogy. The recurrence of the theme coalesces into a powerful ontological reality for the audience: because God is the Father of Jesus Christ, they too are the sons of God. But even more than the model of sonship, Jesus' relationship with his Father ensures that the children of God will endure the race of faith to a successful finish because they are an integral part of comprehensive inheritance promised by his Father and secured by his obedience. Because of the familial relationship between God and Jesus, the audience of Hebrews - God's children - can remain in the house of God forever.